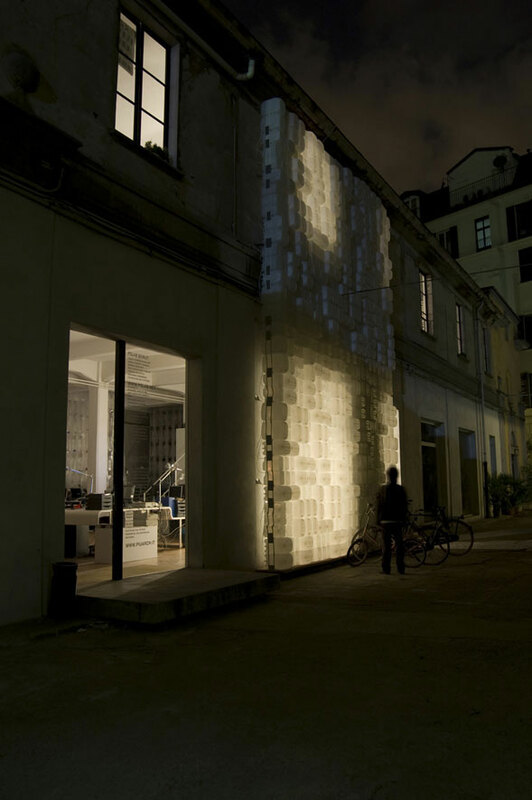 RE/DO installation was born from the collaboration between Milan based architecture practice Piuarch and .PSLAB Beirut which since 2004 explores new ideas pertaining to light designing and building site specific light solutions. 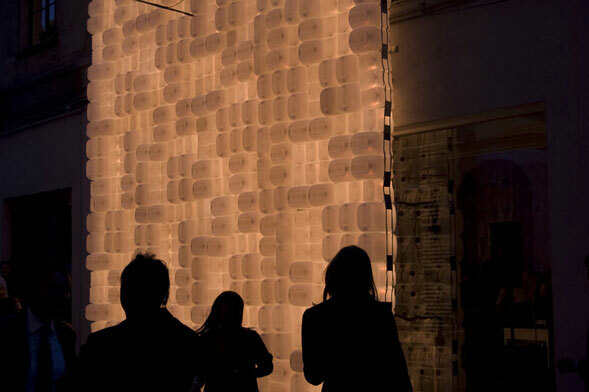 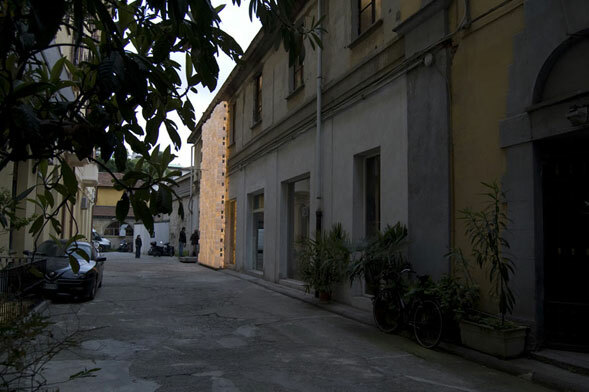 The installation took place at Piuarch studio in Brera area during Milan Design Week in the context of Fuori Salone 2009 (21-27 April). 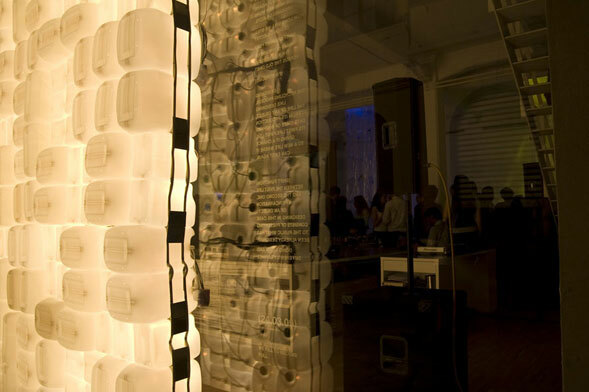 The conceptual installation expresses shared thoughts between Piuarch Milan and .PSLAB Beirut on light and architecture, on design and rethinking an object or a building from a different perspective giving new life to existing objects. 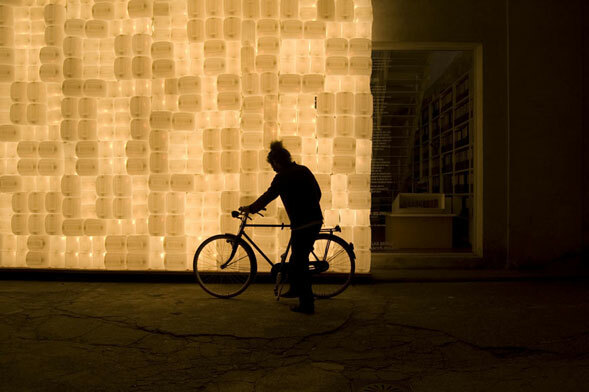 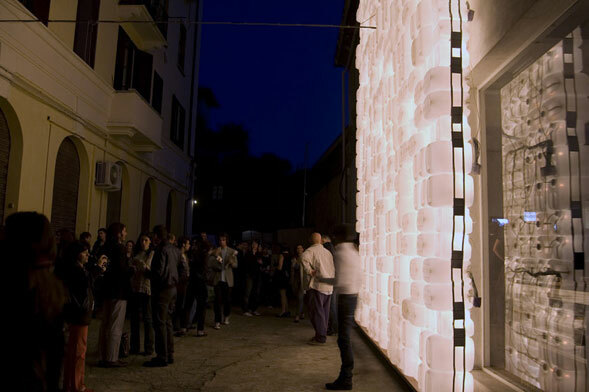 An idea, 3 weeks to make it happen, 702 plastic gallons reinterpreted as lighting objects, wired and assembled as modules in Beirut and with these a 5,5 x 8 mt light wall built on site in Milan during a weekend as an intervention on the façade of the building and in the context of the courtyard where Piuarch studio is located. 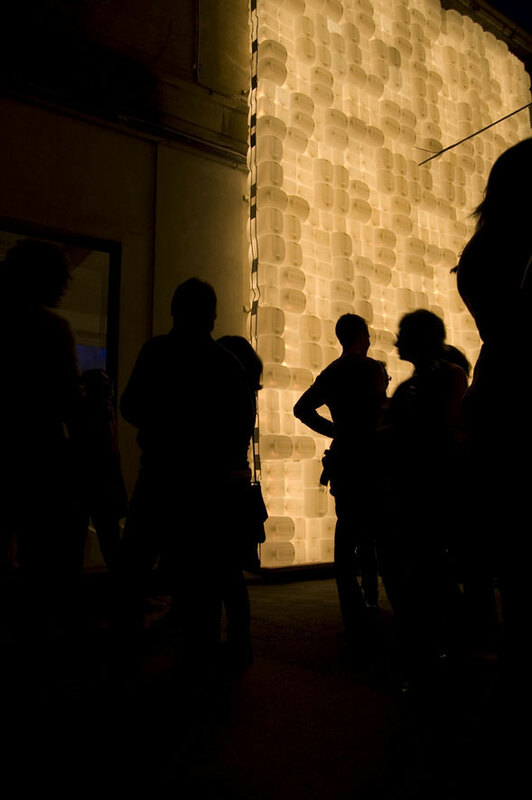 A lot of public and success for the opening party on April 22nd to underline the real interest for an installation which goes beyond the limits of the exposition, of the explicit presentation, to express in a conceptual way, with an act in between a building intervention and an art installation, real and shared thoughts on the meaning of rethinking and redoing in a different way something already existing.